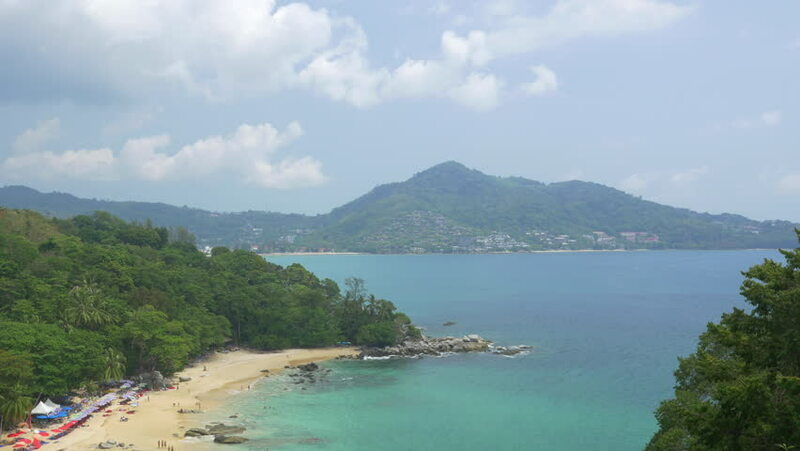 Panoramic view of small sandy beach at the Phuket island, Thailand. 4k00:15A coral atoll island is seen from above. Wide shot from a distance. Hilly background with volcano. Camera is moving down to show blue lagoon and a reef in color changing condition. 4K drone footage.